Do you know how to plan a successful lesson for a first-time scoli client when armed with only an X-ray and a five-minute phone conversation? Can you not only plan that first lesson, but also make a subsequent plan of action so that person becomes a client of yours for life? Accomplishing this may seem overwhelming, but Erin Myers has the knowledge and skill to give you the confidence to boldly and safely work with scoliotic clients. The Spiral Spine scoliosis workshops were created to fit any allotment of time, from 2-hours to a full weekend, and any setting including conferences and studios. Each workshop is progressive and includes the content of the previous workshops. Please view form at the bottom of this page if you are interested in booking Erin for a workshop. In this hands-on workshop, you’ll experience Erin’s unique approach to analyzing a scoliotic body using analytical tools that will help you understand the complexities of spinal curvatures and rotations. You’ll learn to perform a hands-on spinal and pelvic assessment, diagram a scoliotic body, place pads correctly while exercising, and use a scoliometer to measure spinal rotation. You’ll also learn how to track the de-rotation and lessening of a scoliotic spinal curvature so you can confidently monitor the long-term progress of a scoliotic spine. Erin combines current medical research that reinforces the benefits of movement for scoliosis, and creatively intertwines these findings with the specific Pilates exercises that are effective for scoliosis. The result of that pairing is Scoliosis Movement Principles, which include increasing proprioception, creating length within the spine, breathing and de-rotationg of the spine, focusing on plumb lines, mobilizing the spine, and utilizing core muscles. The analysis method previously learned in the Diagramming Scoliosis workshop provides the foundation to properly explore these principles. 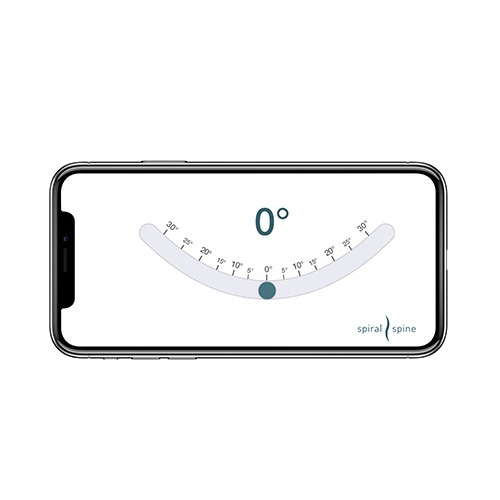 Scoliosis Movement Principles are designed to help the spine find a more neutral alignment, and reduce the pain and discomfort felt by those with scoliosis, allowing them to live their life to the fullest. This workshop will allow you to fine-tune your scoliotic client’s individual exercise regimen by incorporating proven medical research into your teachings. Convex and concave muscles are explored in depth, along with typical areas of musculature that affect the spine. You’ll learn how to test a client’s strength and flexibility in these areas, in addition to mastering exercises that can create bilateral symmetry in a scoliotic back. Erin will also address the emotional aspects of scoli, giving you the tools to educate and inspire your clients. Comprehending Scoliosis, Spiral Spine’s most complete workshop to date, combines the elements from each of Erin Myers’ scoliosis workshop offerings into an intensive, 2-day work session. This invaluable training will give you the tools as a Pilates instructor to allow you to quickly develop a game plan when that first-time scoliosis client walks into your studio for a lesson. Day two of Comprehending Scoliosis starts with a scoliosis-focused Mat and/or Reformer Pilates class that embodies the previous day’s work. After the workout, participants will refer to their previously created diagram sketches, and go into greater depth on structuring a scoliosis client’s initial lesson. A game plan for subsequent lessons is also covered, along with ways to eventually integrate a scoliosis client into a group class setting. Common diagnoses seen in conjunction with scoliosis, including leg length discrepancy, osteoporosis, and hypermobility, are also covered. You’ll learn how to effectively work with those conditions and others, such as back bracing and spinal fusion surgery for scoliosis. You’ll finish the workshop by exploring a variety of real-life, scoliosis case studies, which will truly help you comprehend how to work with scoliosis clients. 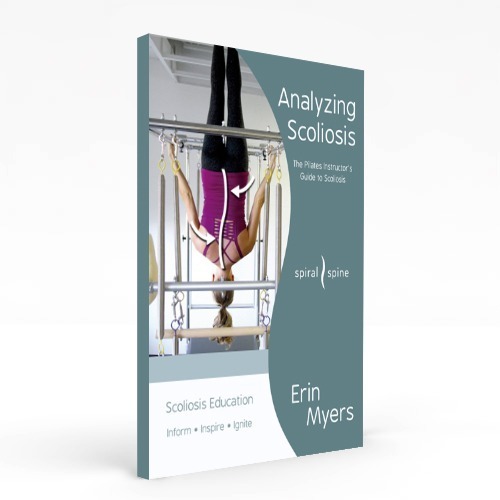 Interested in hosting Erin Myers for a scoliosis workshop? Please fill out the form for more information.